Annalee Doll Description: Open eyes, mouth expression may vary, white hair and beard, brown robe, black sandals, holds walking stick. 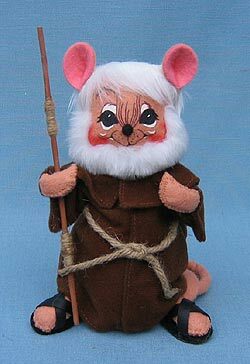 Great piece to add to the 6" Nativity Mice Series. Robin Hood Series companions are 943007, 943107, 943207, 943407 and 943507.